At the beginning of the century, some travelers, artists who sought a shelter, a place of rest were given a mattress in exchange for chores and guess what? … the concept still lingers on. Thus the place was gaining a solid and mystique reputation though taken for granted at the beginning. Nowadays, you find books in English at most, but you also have sections in German and other languages. Just ask the nice sellers. 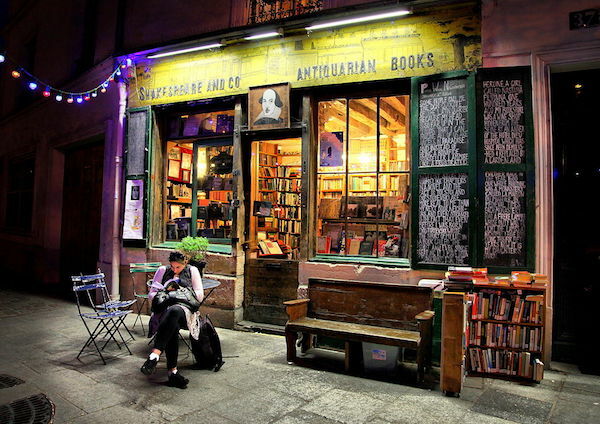 Regarding the sellers, they speak in English and offer a stamp on your book if you buy one, enough to engrave in your book a memory of your stop in that atypical edifice. The soul of that place draws its strength in the warmth of the spot with sofas and all, the loyalty of its clients and the anecdotes shared between the clients on the first floor. 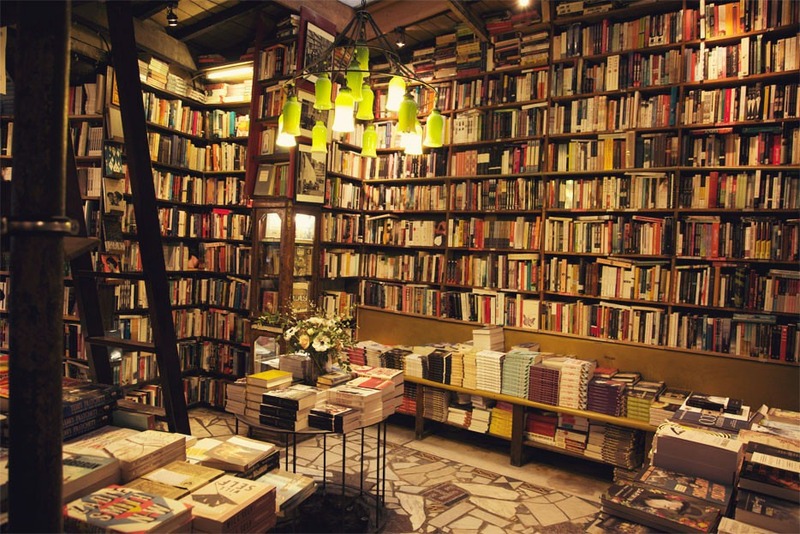 All the genres are available, all you have to do is to open the door and get ready to enter several worlds, and remember, “each room is a chapter” George Whitman said once, about the bookshop he had owned in the 50’s. Ask the seller what time you can listen to the storyteller on the first floor!